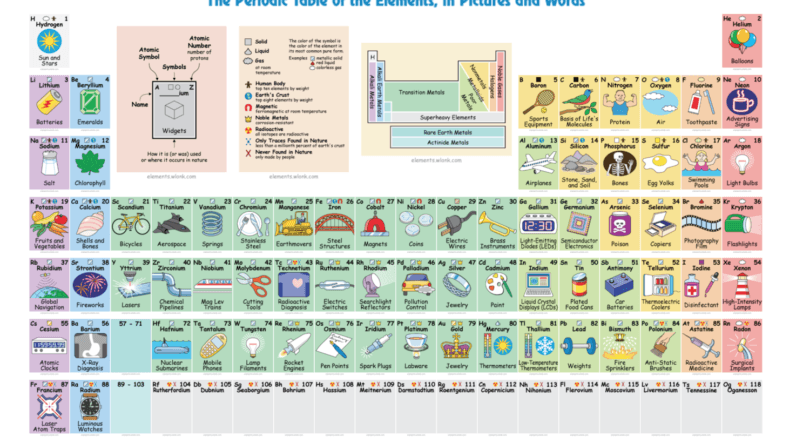 Looking at the periodic table, most of us have no issues identifying the use of certain elements. Sodium, carbon, nitrogen, oxygen and others are no-brainers but what about the less talked about elements. Seriously, do you know what Vanadium is used for? How about Polonium? Of course you don’t. There are dozens of elements on the periodic table that only a handful of us could point to a use for. Luckily, Keith Enevoldsen has created this interactive periodic table that clues us in to just what elements like francium are used for. Each element shows a graphical representation of how its used as well as a short description and other useful information, such as its atomic mass, properties, and symbol. It’s probably not going to make a great party game but if you’re a fan of science, or cool visuals, Enevoldsen’s chart is definitely worth a look.